GRAFENWOEHR, Germany — DOD personnel with an APO address in Germany are subject to international customs regulations and are prohibited from ordering several products. According to Andre Hutchinson, USAG Bavaria Customs Inspector, the list of authorized products is determined by German Customs, U.S. Customs, the U.S. Army, the U.S. Postal Service and evolving agreements between the U.S. military and the German federal government. 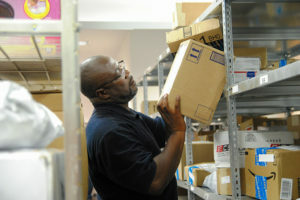 Andre Hutchinson, USAG Bavaria Customs Inspector, performs a routine inspection at the Tower Barracks Post Office Tue, July 12. Although the list may seem detailed and exhaustive, Hutchinson said “grey areas,” or situations without clear and specific guidance, pop up regularly. DOD personnel who violate customs regulation may be subject to fines and disciplinary actions imposed by the German or U.S. justice system and the Uniform Code of Military Justice, said Hutchinson. German customs officers may require immediate collection of appropriate duties and taxes before a package is released. On military installations, unauthorized items will be confiscated. International shipments go through three major filtration points, according to Richard Sturm, Lead Postal Assistant for the Grafenwoehr APO. When the package arrives in Germany, German customs officers process the shipments and x-ray a percentage of the packages. APO-bound boxes are then sent to the central distribution point in Wiesbaden, sorted and dispatched to specific installations. Finally, U.S. Army Europe customs officers regularly inspect APO for illegal imports at the installation. For specific mailing requirements, visit the USPS International Mail Manual for Germany or USPS Postal Bulletin. For customs-related questions, call DSN 475-7249, CIV 09641-83-7249 on Tower and Rose Barracks, DSN 466-2012, CIV 09472-83-2012 in Hohenfels, and DSN 440-3648, CIV 08821-750-3648 in Garmisch. Here’s the APO’s list of prohibited items for shipment to Germany. What: All meat products — smoked, cured, vacuum-packed, canned, dried or otherwise —are strictly prohibited by German Customs. This also includes pet food and temperature-sensitive dairy products, such as soft cheeses and eggs, and untreated animal products, including game figurines, furs and bone or wood ornaments. What: Foods that easily spoil and perishable biological substances, including ready-to-eat meals, wild mushrooms, vegetables and kimchi, are forbidden. Non-perishable food items, such as candy and chocolate are allowed. What: Plants, live seeds and untreated wood products may not be shipped into Germany. Importation of dried, factory-sealed culinary herbs is allowed, however. What: In accordance with international agreements, DOD personnel are not permitted to import rationed or duty-free items, including coffee, alcohol and tobacco products, through the Military Postal Service. These items are normally subject to customs duties and taxes upon entry into Germany, and so importing through the APO is a violation of German law and tax evasion. Specifically, liquor, wine, beer, alcohol-based candy and perfumes, cigars, cigarettes, chewing tobacco and packaged coffees are illegal. What: Kinder Surprise Eggs are considered a serious choking hazard to children in the U.S., and exportation from Germany is illegal. Importation within Germany and the European Union is permitted, however. What: Nutritional supplement products, including vitamins, medicinal herbs, protein powders, amino acids and dietary pills, are closely regulated in Germany and Europe. In general, only authorized products in Germany and the European Union are permitted. These items are available on the economy and on European websites, such as www.amazon.de. What: Foreign-produced prescription drugs and over-the-counter medication are also heavily regulated by German Customs. Authorized variations of medication are available at military medical treatment facilities, commissaries, AAFES, German pharmacies and retail stores. Recreational drugs and other controlled substances are strictly prohibited. What: Ammunition, firearms and imitation rifles, including airsoft, paintball and replica guns, are forbidden by German Customs. Shipment of privately-owned firearms is permitted with proper permits through the Bundesverwaltungsamt, or Germany’s Federal Office of Administration. What: Explosives, aerosols and flammable liquids, including most perfumes, colognes, deodorant sprays and nail polishes, are not permitted through German Customs. What: Products illegitimately carrying logos, business names and signs cannot be imported into Germany. This includes fake designer purses and illegally-derived DVDs. 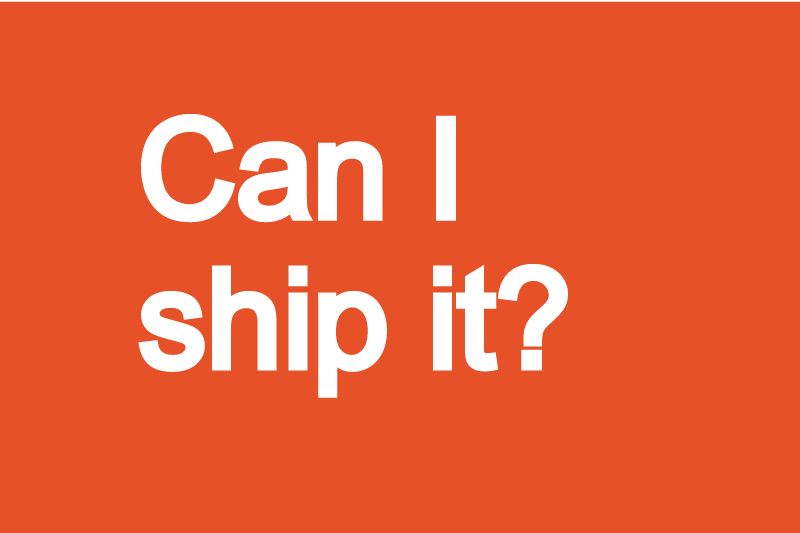 What: It is illegal to import products containing components of endangered species. Ivory, reptile skin watchbands, sea turtle products, whale tooth decorations and caviar from sturgeon are all examples of prohibited items. What: It is illegal to order any products for a home-based business through the international Military Postal System. What: Distribution and possession of obscene and pornographic materials is forbidden by the U.S. military.